These have become our Sunday morning favorite tradition. We've been making waffles on Sunday for years. Pour batter into waffle iron and cook. 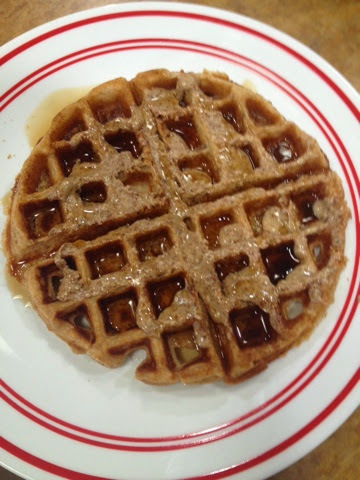 For the best waffles ever - top with Almond Butter and Maple Syrup! Those things are to die for!